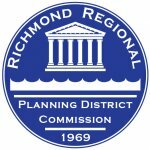 The Richmond Community Development Alliance (RCDA) is a group of nonprofits that work together to address affordable housing needs in the Richmond region. In 2012, RCDA became a division of the Partnership for Housing Affordability (PHA), merging the resources, values, and goals of both organizations. RCDA member organizations produce and rehabilitate affordable housing, coordinate programs for those experiencing homelessness or who are seeking home-ownership, and provide housing counseling or supportive services. RCDA helps these organizations to speak with a unified voice for funding resources, increase awareness about the range of housing needs in our area, and share information about best practices and activities within partner organizations.